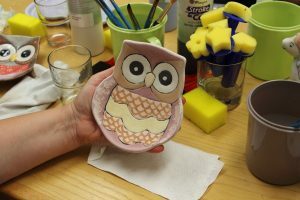 Calli’s Corner are delighted to now offer ‘Paint Your Own Ceramics’ in the Kent area. Located in Ramsgate in Kent . 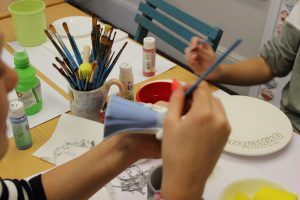 POP IN AND PAINT A MASTERPIECE. 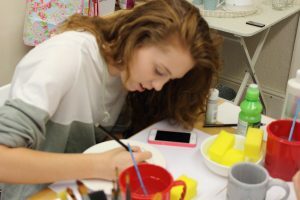 At our Kent Studio we offer all that our Surrey studio has to offer, Birthday Parties, Ladies/Hen Nights, Mother and Baby / Under 4’s Sessions and general painting sessions. Unfortunately we are not able to offer glass fusion at the moment. You can also visit us at one of the many events and venues that we attend on a regular basis. Watch out for these events by following us on Facebook HERE or watch out for postings here on our website, throughout the year. We cater for schools, nurseries, private functions, nursery schools, retirement homes, scouts, guides, cubs and brownie groups, birthday parties, WI Groups, corporate building and more. We regularly attend Fairs, Summer Shows, School Fates, Play Centres etc. Baby Showers, Christenings, Birthdays, Bridal Showers, Anniversaries, Weddings. You name it, we cover it! Just get in touch with your requests and we will discuss how we can help you. All our contact details are on our contacts page, so please do get in touch and join us for a great time out!